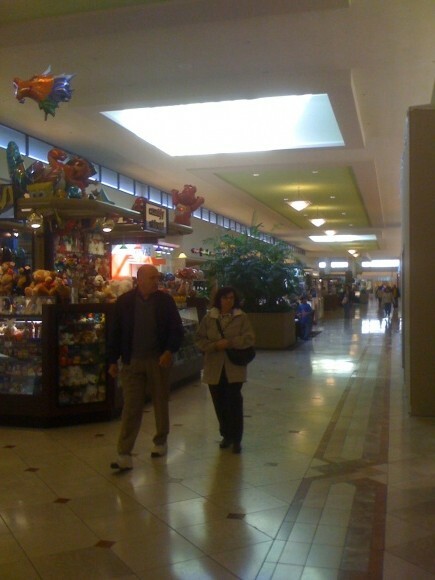 We’ve covered hundreds of malls on this site, but only a few dozen of them have much of a personal connection. 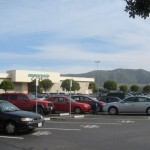 The Serramonte Center Mall in Daly City is one of those, since I currently live only about 4 miles away in San Francisco. 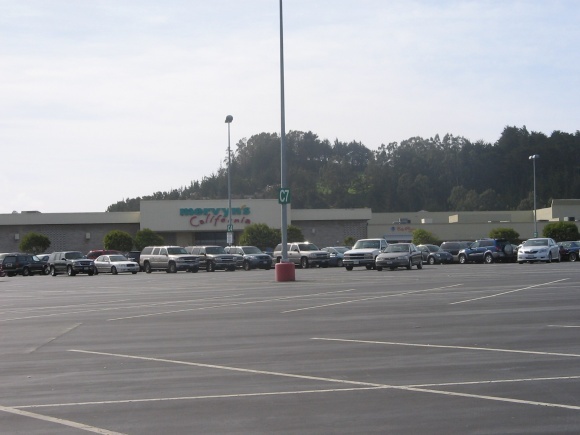 I’ve learned a lot about the Bay Area in my 4 years living in the area, and this old gem of a mall (and the area its located in) both have an interesting back story. 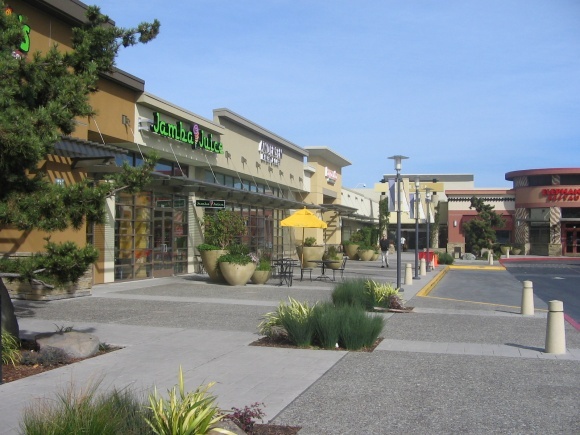 Westlake itself was centered along John Daly Boulevard, and was a true “planned” community with a ring of single family homes, a cluster of multifamily apartment complexes, and a large retail mall at the center named Westlake Shopping Center (originally Westlake Town & Country Center). 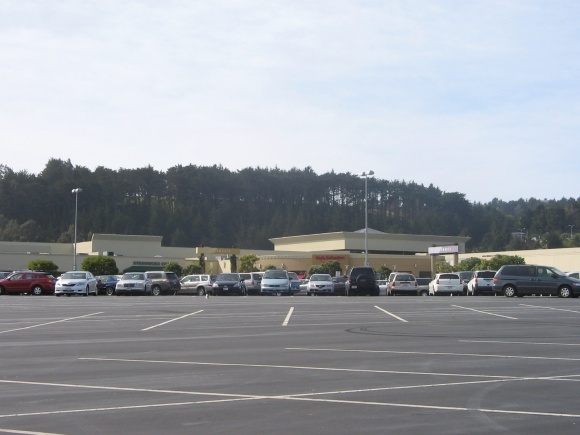 Opened in 1948, the open air mall was one of the oldest in the United States, and unlike many of the other malls around the Bay Area has never been enclosed. 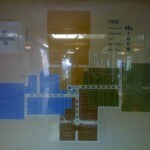 It’s still operating today, but as a more community-oriented, big box-anchored center. 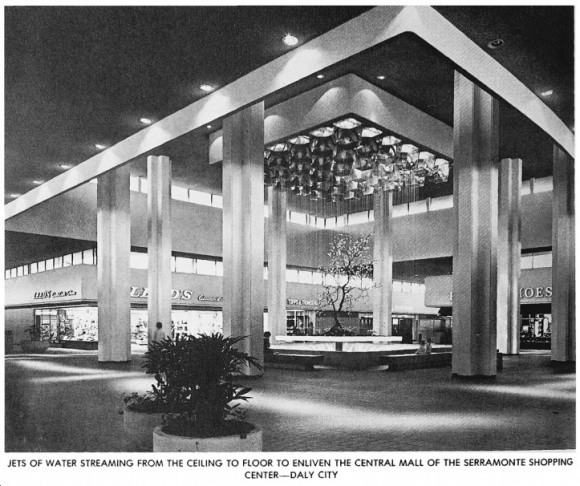 The Serramonte Center Mall came later, and a few miles south. 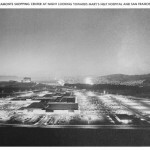 As the Bay Area continued to grow in the post-war era, development continued to sprawl southward from Westlake and a new set of developers, Fred and Carl Gellert, set to develop the Colma Hills and Serramonte Ridge area with a new set of homes in the early 1960s. Much like Westlake to the north, this development was set to be anchored by a large new suburban-style retail mall, but unlike Westlake the new mall would be fully enclosed. 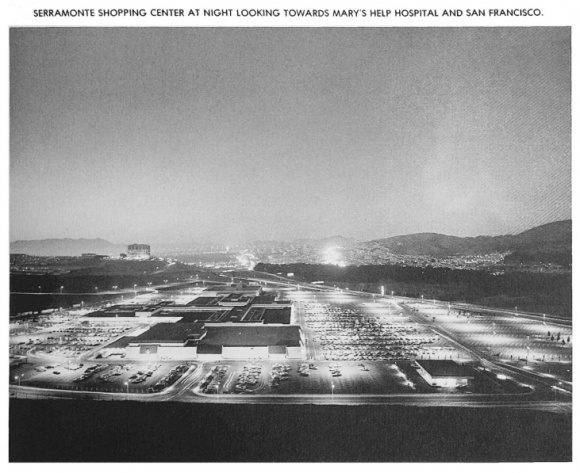 The center’s original anchor stores were Montgomery Ward, Macy’s, and Long’s Drugs and the mall was organized roughly in a “T” shape and located in the crux between two freeways: CA highway 1 (the famous Pacific Coast Highway, which had recently been re-routed and expanded to a controlled access freeway in this area) and interstate 280. 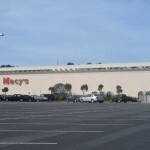 The mall also saw a small expansion not long after opening, with a slightly expanded eastern wing and a new Mervyn’s California store as the final mall anchor. 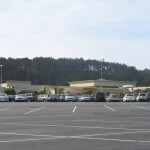 Daly City has remained a largely midrange suburb in the decades since, with some significant and interesting demographic shifts coming along the years. Daly City is one of only a handful of US cities that is majority-Asian, and 33% of the city’s residents are Filipino, the highest percentage in the United States. 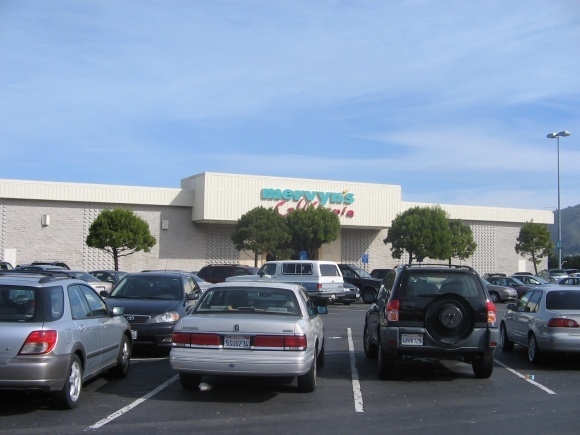 Daly City proper has just over 100,000 people, and is the single largest city in San Mateo County, which occupies most of the peninsula south of San Francisco itself. 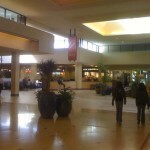 The mall remains successful as a middle-tier, 865,000, one-level center today. 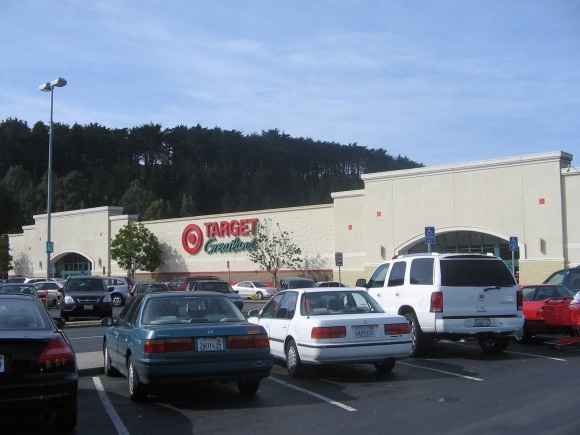 Montgomery Ward departed the center upon their bankruptcy in 2001, and were promptly replaced by Target, despite that Target already had another location across the street in neighboring Colma. 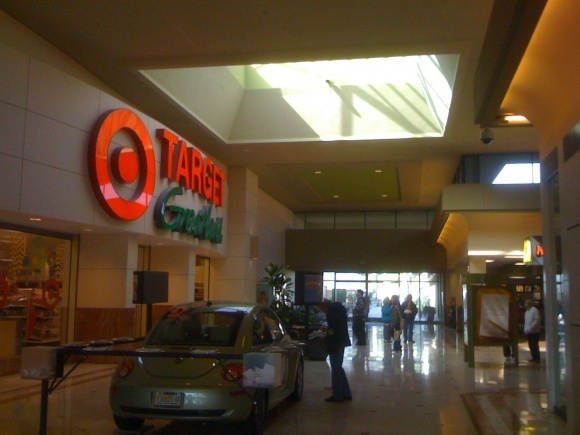 Both Target stores continue to operate almost within sight of one another today. 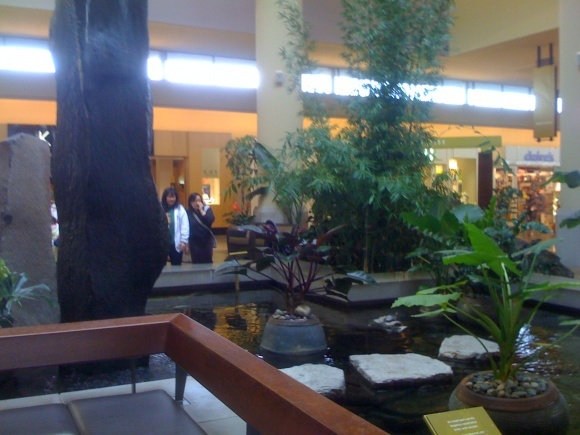 The mall began a renovation in 2007, which saw a modernization of the structure inside and out, replacing much of the interior with Asian-inspired rock, plant, and water features, including bamboo plantings and a koi pond. 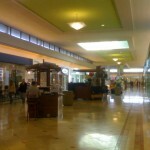 The mall’s Long’s store departed at a similar time, and the space remained vacant until 2011 when it was filled with a Crunch Fitness. 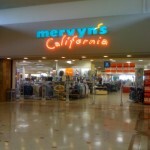 Mervyn’s California departed when the chain closed in 2009; after sitting vacant for two years it was replaced with a small but modern JCPenney store which always featured the short-lived “red square” logo design. 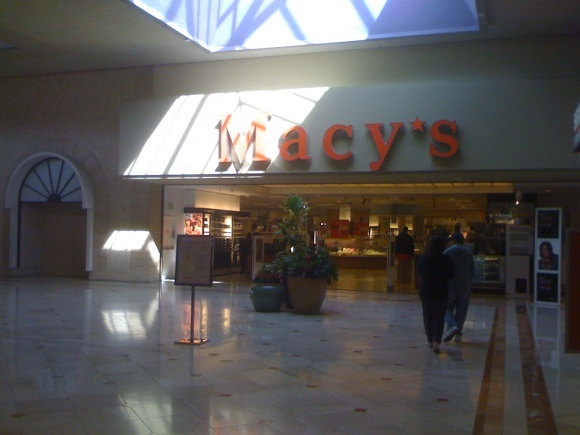 The original Macy’s store, still in operation today, retained its vintage signage until 2011 when it was sadly replaced with the modern Macy’s red star signage. 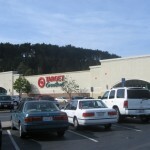 Overall, the place is nearly always busy due to the midrange tenants like Target and H&M, and the surrounding sea of big box centers are extraordinarily successful due to the proximity to San Francisco, where land is too scarce and expensive (and political opposition to this type of development is too great) for many of these chains to operate. 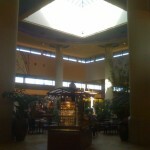 I like the design of the Serramonte Center Mall a lot. The size and design reminds me a lot of the malls of my youth, with the high center court/significant water feature as a dominant focal point. The “Zen” renovations of 2007 and 2008 did nothing to ruin the mall, if anything this is one of the more faithful re-dos of a mall this type that I’ve seen. 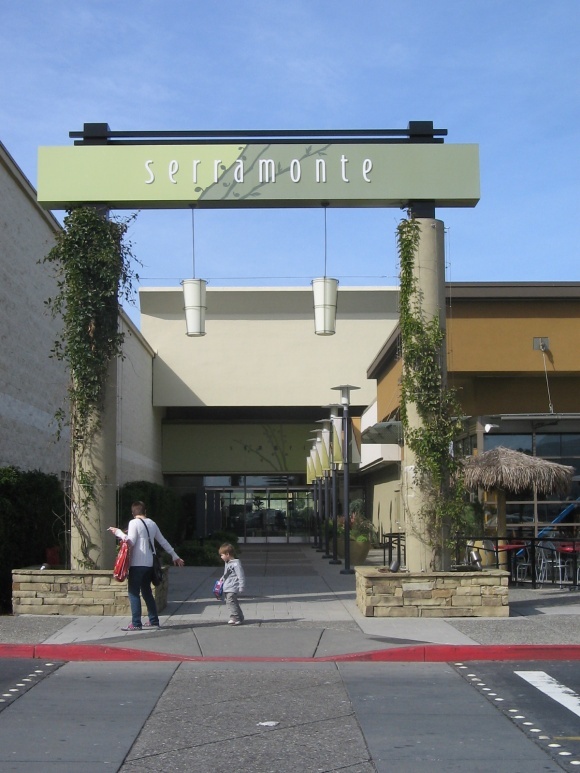 Serramonte also has a significant number of food options, ranging from a sizable food court to an outdoor promenade with fast casual options such as Andersen’s Bakery and Rubio’s and in-line traditional fast food restaurants like Burger King, McDonalds, and Taco Bell. There’s also legitimately decent pho–a rarity in a mall!–at the Pho Garden next to the food court. 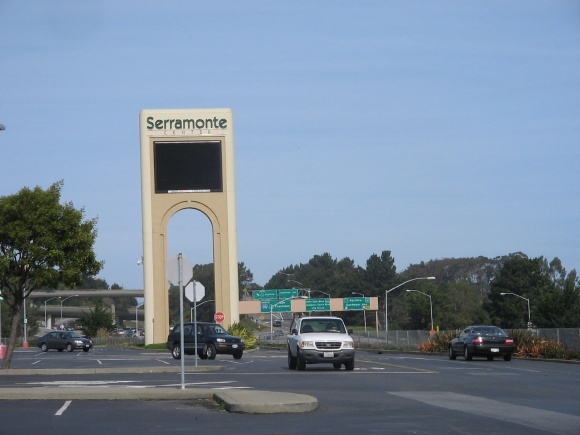 The photos here were largely taken in spring of 2008, not long after I moved to the Bay Area, and as such you’ll notice a few things that have already changed. The Target Greatland signage is gone, and the Mervyn’s California is also (obviously) gone, plus I managed to get shots of the Macy’s before they removed the old signage. I did also go back and snap a few quick shots of the new JCPenney, just so you all could see the new lowercase “red square” logo that is unlikely to ever make it onto many of their stores. Is that Macy’s new logo? I didn’t know that they were changing logos. 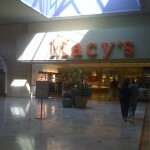 @jhshifris, Nope, that one is the very, very old Macy’s West logo. It was taken off this building last year in favor of the modern red star logo. 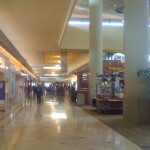 1. who currently owns the mall? 2. 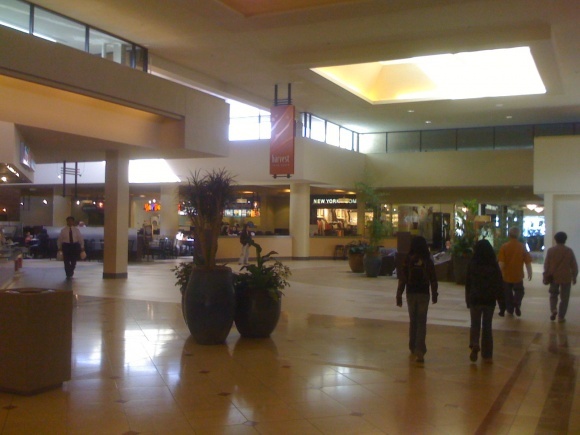 Is the mall near the Daily City BART station? 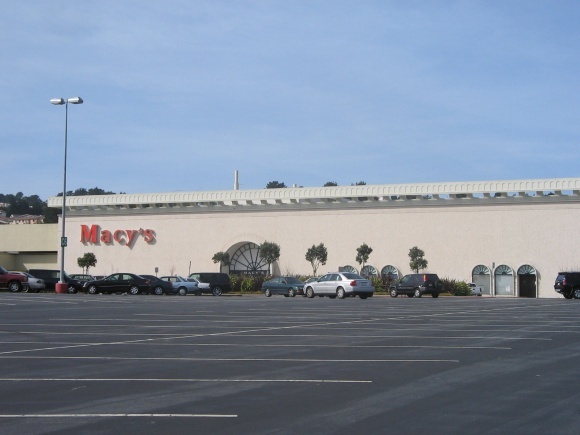 FYI There’s another big box shopping center near this mall in Colma called 280 Metro Center, obviously named for the ajacent I-280 freeway that runs south from San Francisco. @SEAN, I believe it’s currently owned by Capital & Counties USA, a local group who don’t appear to own any other enclosed malls. 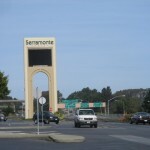 Serramonte Center is not that close to the Daly City BART station, which is a few miles north at I-280 and John Daly Boulevard. It’s closer to the Colma station, if anything, but not honestly walking distance from either. @Caldor, oops, my mistake, they were actually renamed Equity One since the purchase. @Caldor, Thanks, that info you mentioned will lead you to another dieing mall on Long Island called The Mall at the Source. Equity One is building “The Gallery at Westbury,” a 300,000 plus sq ft two-level center that will contain Trader Joes, Nordstrom Rack & Sacks Off 5th outlets. The latter two will be relocations from the Source. This new development is ajacent to Roosevelt Field on Old Country Road. @Caldor, Here’s the brief write up from Equity One. And, is Mervyn’s still around from what I saw? I thought that they’re not around anymore. 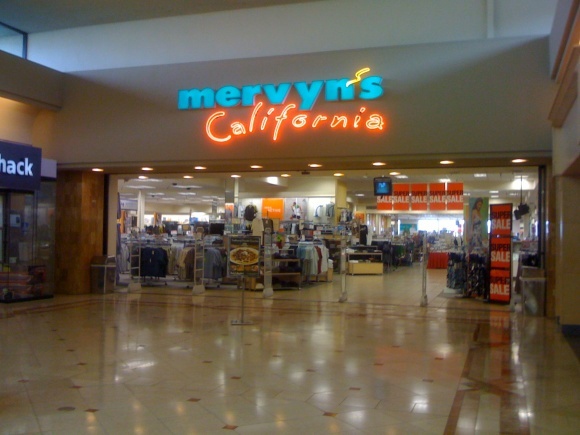 No, that Mervyns closed in early 2009. Most of these pictures are from spring 2008. 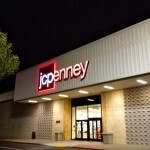 Jcpenney replaced the Mervyns in early 2011. Did the New York & Company store replace a junior anchor? It seems to be substantially larger than other New York & Company stores I’ve seen. 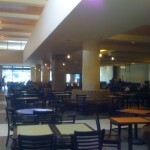 The renovations are actually an improvement, giving it character and paying an homage to the demographics of the area. 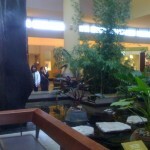 @Nick, it is supposedly their largest location in the chain! 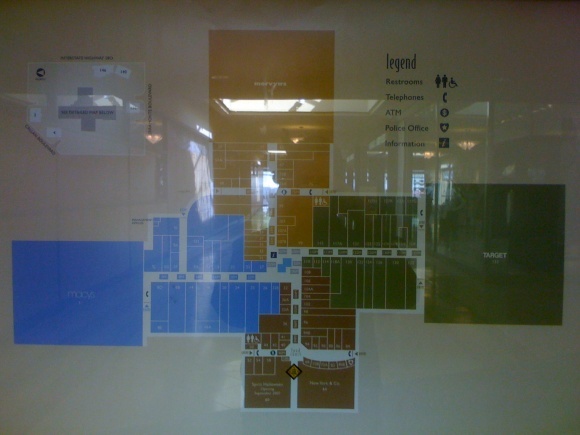 I have no idea what that space was, actually, but that end of the mall is divided between two junior anchor spaces (the former Longs is adjacent) and the food court, so I question if at one point it was somehow utilized differently. 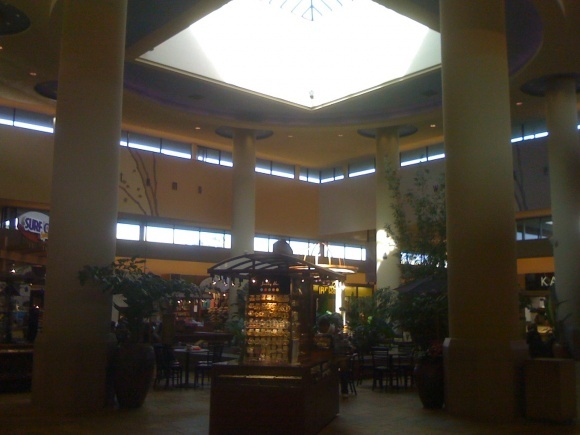 @Caldor, the expansive food court (with fireplace) took over what used to be Lerners [and this mall had 2 of them, where the NY & Co. is now and part of an in-line store]. 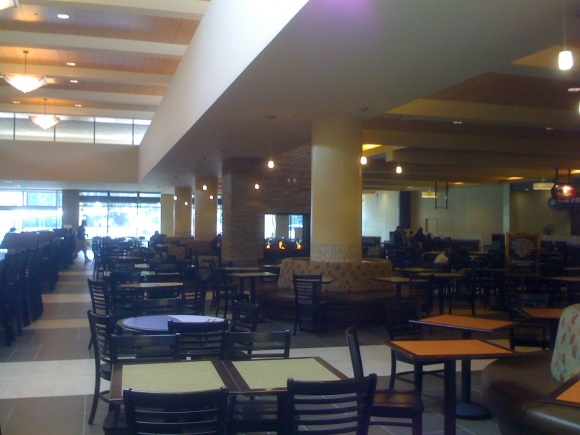 the food court used to be small, if you can imagine where the panda express now, and mirror that side opposite, it litterally used to be a food corridor. 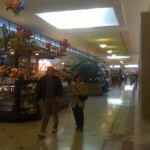 This was always one of my favorite malls. It was a nice alternative to the high-end pretentiousness of most Bay Area retail. There was originally, I believe, a supermarket anchor (Purity, perhaps?) in the approximate New York & Company area, but I’m not 100% sure about that. 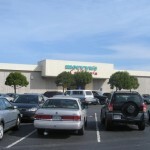 @Groceteria, the supermarket was a QFI (Quality Foods Inc) that had stores on the Peninsula, from San Francisco to Redwood City. 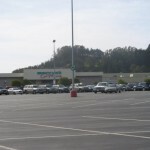 Unlike Longs Drugs, QFI did not have a direct entrance to the parking lot, but it was still very convenient to park on the west side of the mall and walk the short distance into QFI. 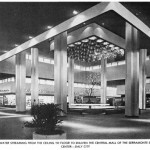 In the early days of the mall, the west entrance allowed for Sunday access, when most of the mall was closed. @J-Man, There are a few, but not many. There is a location of Philippines-based clothing chain Bench (http://www.benchtm.com/home/, not to be confused with the UK-based Bench) and a “Manila Bay” Filipino restaurant in one bay of the food court, plus there are a few Asian chains (Andersen’s Bakery, and Daiso Japan on an outlot space) scattered about but that’s about all I can think of. 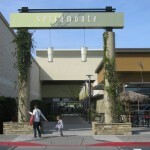 @J-Man, it’s not relagated to Serramonte, quite a few establishments are sprinked up and down the Peninsula. 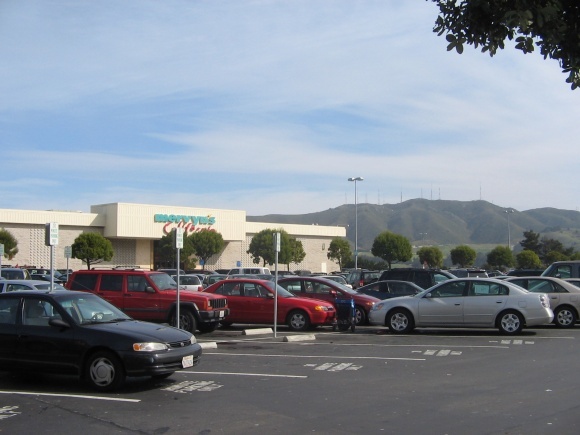 Matter of fact, just up the hill from this mall is a couple of shopping plazas; Skyline Plaza with an emphasis on all Asians (99 Ranch Market is the anchor), and Pacific Super plaza, which is just above from Serramonte. 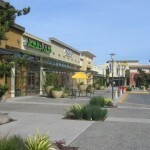 Come to think of it, I haven’t seen a Fil-Am centric type shopping center, much like you see in Southern California. I guess we are spread out up here in Northern Cali. 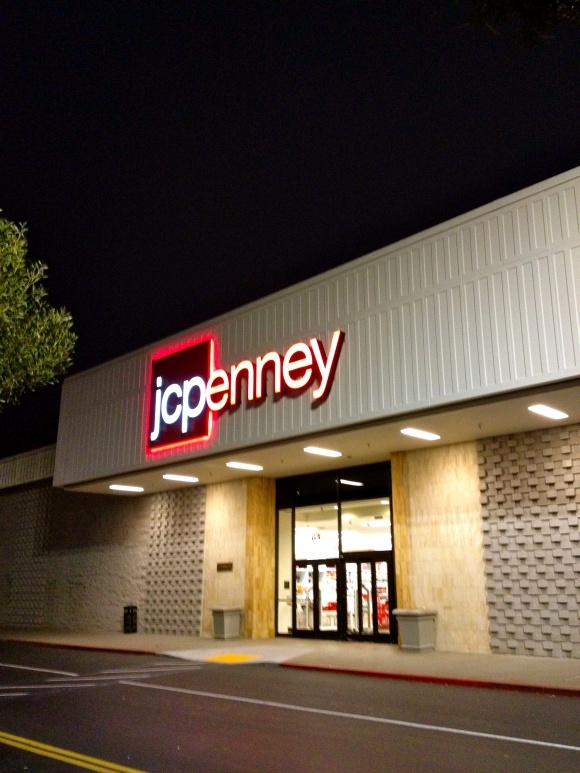 Looks like the ‘new’ jcpenney sign just is retrofitted onto the old letters (with the old JCP replaced), so might see that show up elsewhere eventually. 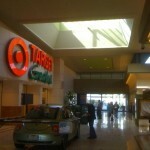 Apparently, this mall, profiled on Big Mall Rat, has a retractable skylight in the food court. @Pseudo3D, that’s nice to know! I’m going to have to check it out next time I’m there. I could walk there from St. Francis Heights. Q – what are the first three words a Filipino baby learns? 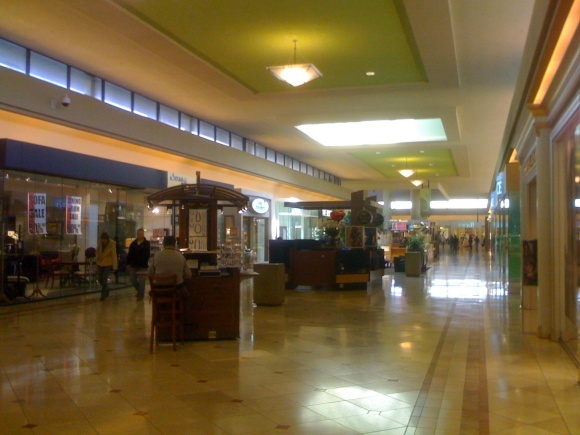 I never saw a mid tier mall that did not have Aeropostale and American Eagle Outfitters. 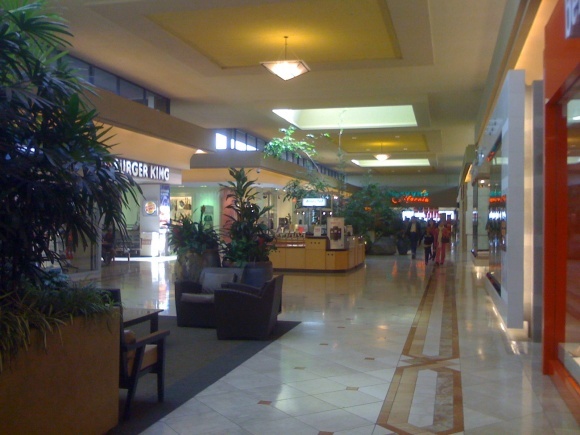 @Jamie B, then you apparently haven’t been to many malls in California. 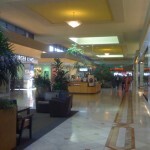 Although its rare to see mid-tier malls without these stores in much of the country, California has some unusual demographics in certain suburban areas–mainly, there are entire swaths of suburbia that are heavily Asian or Latino and their tastes run somewhat differently (i.e., this mall has Bench, a major Filipino apparel company), often more towards Forever 21/H&M than AE/Aeropostale. 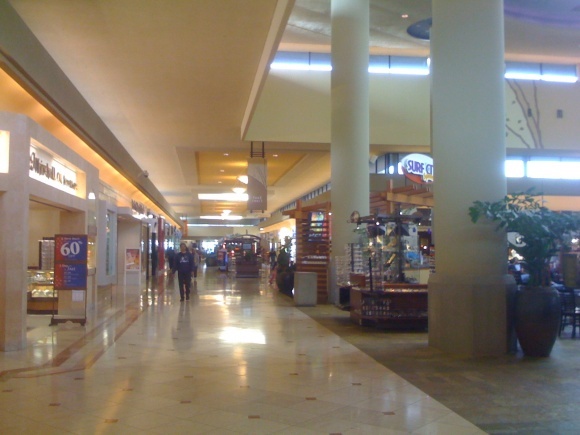 Daly City and the surrounding area is mostly Asian and middle-class, so the makeup of the stores in the mall reflects this. Uniqlo opened its first West Coast flagship store, in a three-story, 29,000-sq.-ft. location at 111 Powell Street in San Francisco. The store, positioned in the city’s Union Square area, features high-beamed ceilings, a basement to roof skylight, a central glass case housing rotating mannequins and a LED-illuminated rainbow staircase, as well as 77 LCD screens lining the perimeter of the store. In addition, Uniqlo’s San Francisco store will include “Magic Mirror” technology, a “virtual dressing room” developed by Dai Nippon Printing.